Denim is pretty big this season and I'm not just talking about jeans - think dresses, shirts, dungarees, jackets, tunics, shoes and skirts. Designers like Stella McCartney and Burberry featured it in their SS 2015 collections so prepare to see it everywhere. 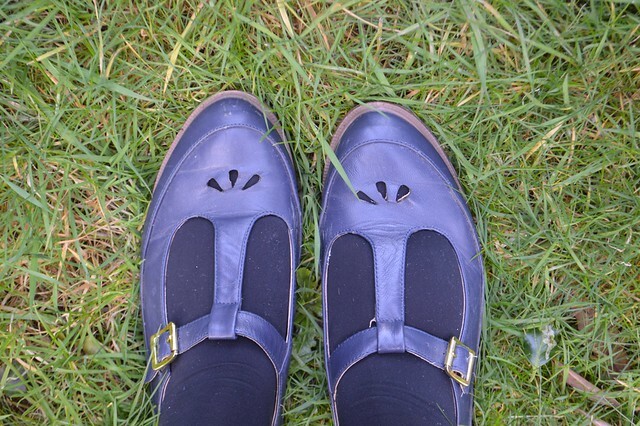 You might be brave and happy to sport a bit of double denim or think I'll just throw on a pair of jeans but there are plenty of fun ways to get a bit of denim in your Spring wardrobe. You could try an A-line button-through which Alexa Chung has been sporting recently or try a pair of flares with a polo neck if you're going for a 70s vibe. 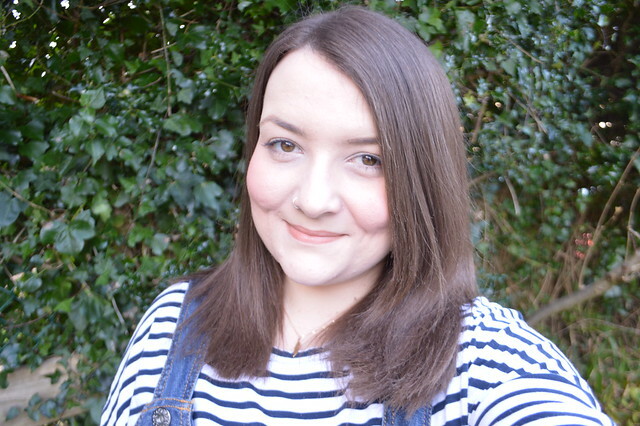 Curvissa challenged me and four other bloggers to take part in a denim styling challenge. I wanted to try something a little out of the ordinary so didn't opt for a pair of jeans. This devoted dress wearer couldn't say no to a denim dress. 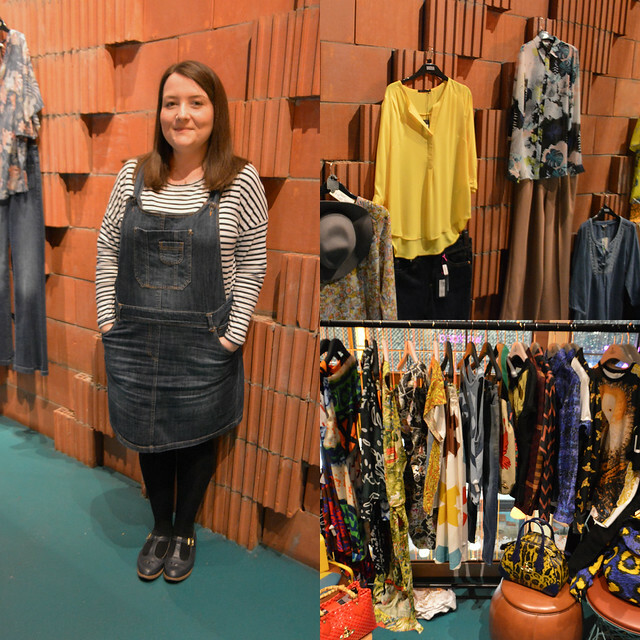 I went to a Spring trend blogging event wearing my denim dress and there were loads of denim items on show there. Yellow also seems to be a big trend and there were some flares, denim shirt dresses and lots of 70s boho style items. 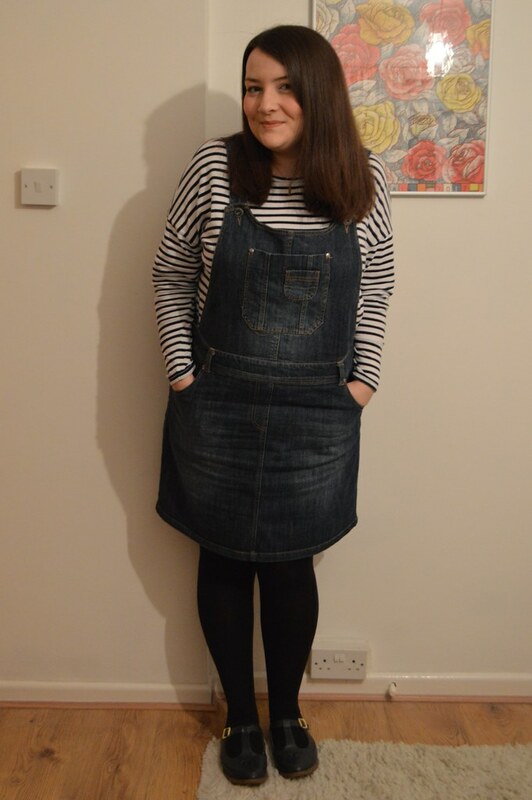 I'm going to be wearing my new denim pinafore dress a lot over the next few months. There's nothing else like it in my wardrobe and I feel like a big kid in it. I would give this a 4/5, only just missing out on 5 because I had to size up one size. How will you be wearing denim this season? 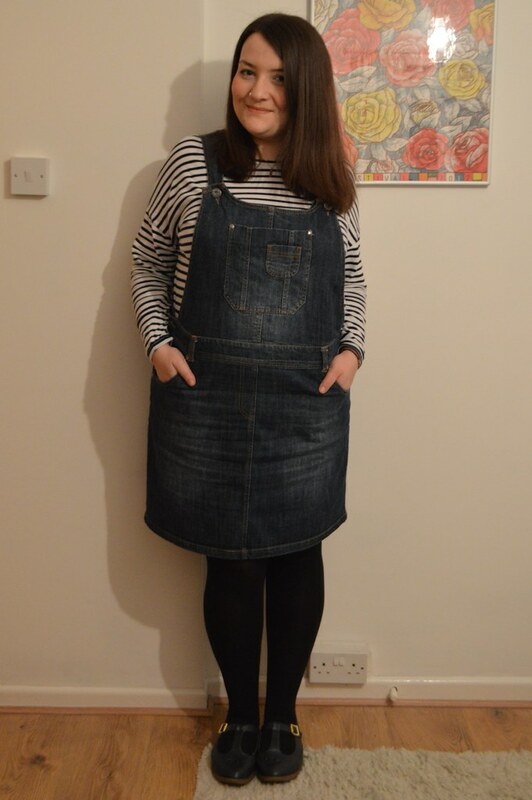 We must be kindred pinafore friends - stripey tops and denim dresses! So cute! I need it. I had a few dresses like this in different materials a few years back and I love this! It really suits you. I like the look of this dress. Great choice and it suits you very well. I noticed you wearing this on Thursday and thought that it looked lovely. I really wanted dungarees when I was pregnant but couldn't find maternity ones at a reasonable enough price, they will probably be everywhere now this year, typical! That is the perfect relaxed fit on you! And I have shoe envy now! !